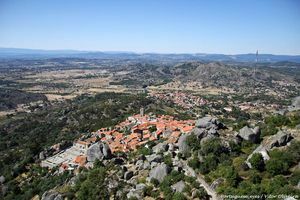 Discover Monsanto, one of the most picturesque spots of Portugal. 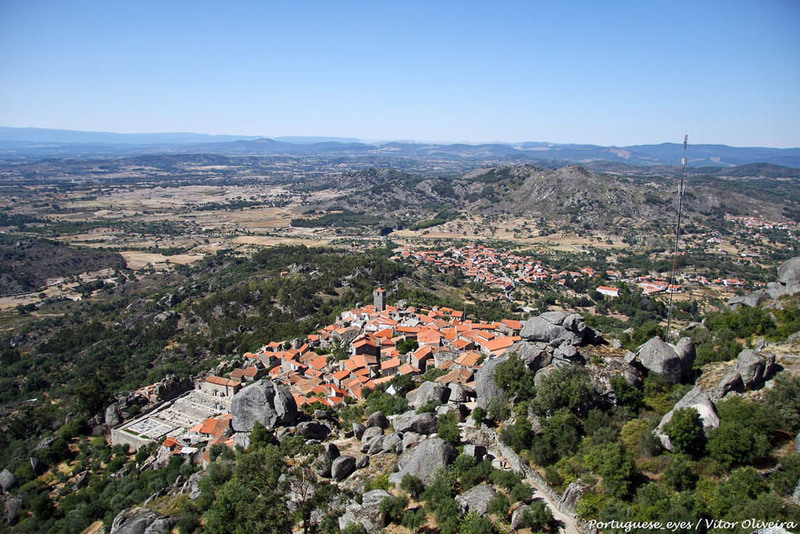 Monsanto is a small and picturesque town in the district of Castelo Branco, Portugal. 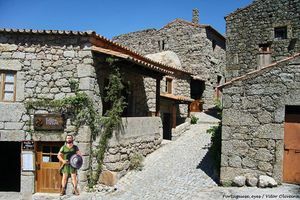 This hamlet stands over the plains of the nearby areas and is a perfect setting to walk around its cobblestoned walls, flanked by stone houses in harmony with the preeminently rocky landscape of the area. This hamlet has been heavily protected against modernization since winning, in 1938, the award to the “most Portuguese” town in the country. Some of the houses are surprisingly rich and feature Manueline entrances and stone blazons. It is a certainly remote town, being the isolation its main attraction. Such a feature is evidenced by the shepherds trails that ascend from the town to Monsanto Castle (13th century), abandoned in the summit of the mountain. From the walls of the castle, you still can enjoy an amazing panoramic view in all directions. Underneath the castle, you can see the remains of the Romanesque Capela de São Miguel Chapel, featuring several unsettling sarcophagi excavated in stone. Halfway between the castle and the town, there is a grotto that seems to have been used as tavern. Nearby, there are other caves that are used by the shepherds as estables for the cattle and horses. Down under, the tiny town of Monsanto is composed of a mixture of winding streets along which to walk is a pleasure. Monsanto is crossed by several long hiking trails, among them the GR-12 from Lisbon to Constancia (Bulgaria) and the GR-22. This latter one is 540 kilometres long and goes through many important locations in Portugal. A piece of advice to hike along a beautiful, easy and short (an hour long) trail is to go down to GR-12 and go along the stone path until the Capela de São Pedro de Vir-a-Corça Chapel, a Medieval chapel flanked by giant rocks. This path can be followed up to Idanha-a-Velha, for around 7 kilometres. This hamlet yearly celebrates, every May 3rd, the Festa das Cruzes to commemorate a Medieval siege. Legend goes that the starving locals, threw the only calf they had left over the walls to mock the enemies and feign abundance. The besiegers were tricked and left. Nowadays, the young throw flower baskets and the festivity is bettered by dances and music next to the castle. 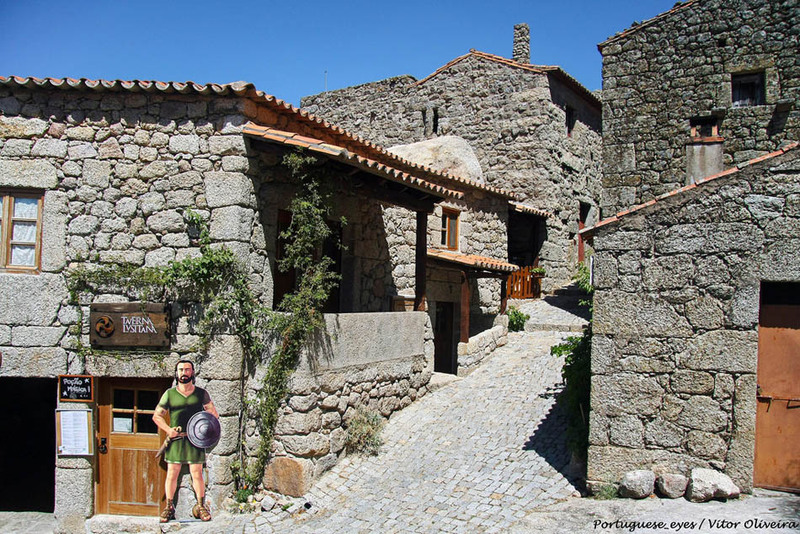 Near this hamlet, already in the border with Extremadura (Spain) lies the famed Monfotinho Roman Baths.